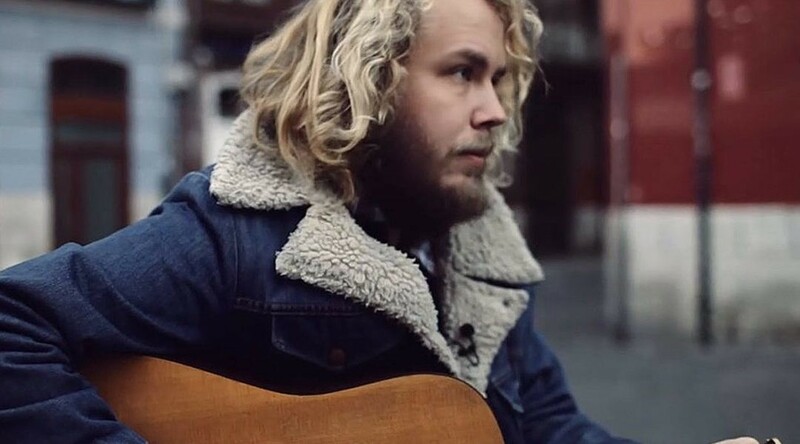 Scandinavian-born singer Benjamin Folke Thomas is excited to announce the release of his new studio album Modern Man, released on 9th November 2018 on Aveline Records. Full of sardonic tales of love, hate and double standards, this impressive fourth release was recorded in just two days in Studio Panikangest in Gothenburg, ft Johannes Mattsson (bass), Henning Sernhede (guitar) and Erik Berndtsson (drums). Folke Thomas was born in the coldest winter recorded in modern day history in Gothenburg; perhaps his obsession for sad, lamenting country songs was inevitable; and grew up on a secluded island off the coast of Sweden, populated by mainly evangelical Christians. However, Ben never found God. He discovered grunge music instead, and at the age of 11 he was playing drums in a punk band before turning to Folk and Americana music after seeing Kurt Cobain’s performance of ‘In The Pines’ on Unplugged. Steeping himself in Leadbelly, Dylan, and Leonard Cohen, by the age of 20 he was an accomplished finger-picker, confident performer, and mature songwriter. After living and playing in London for many years, where he proved to be one of the most exciting prospects to come out of the acoustic scene in years, he released his first studio album Too Close To Here in 2013. It was recorded with Swedish musicians in the Rosa Huset (‘The Pink House’) outside Gothenburg. Follow up Rogue State of Mind, released in 2015 on Bucket Full of Brains, was recorded with his same Swedish band in their studio in an old warehouse, and focused in on the bands live nature with minimal rehearsal. This album brought him to the attention of BBC Radio 2’s Bob Harris who invited him to Nashville as part of BBC Introducing, followed by an impressive performance to packed crowds at Cropredy Festival in the UK. 2017 saw the release of his third studio album Copenhagen, which gained national support in the UK media (8/10 Uncut / Mojo / BBC London session / Sofar Sounds to name a few), with his ‘live’ album Acoustic Classics released later that year. Folke Thomas’ live ability has attracted a dedicated fanbase and rave reviews, including Q Magazine describing his “stunning playing… his finger-picking is the best you will ever hear”, whilst the Guardian stated that he “stands out like Oliver Reed at an AA meeting”.